Lawmakers are at the State Capitol this week, setting the framework for next year's budget. There have already been budget cuts in the current fiscal year, and state agencies are nervous there could be more. Almost everyone says the budget adopted by this legislature will be a lean one. But Governor Phil Bryant says it all depends on how you look at it. He spoke with MPB's Mark Rigsby. You can hear from the Governor, Legislative leaders and more this week on @Issue. The new season starts this Friday evening at 7:30 on MPB TV. Educational outcomes are an area of great concern in Mississippi, for legislators and citizens alike. In this year's state report card from K-12 news outlet, Education Week, Mississippi received a D. But State Superintendent of Education Carey Wright says Mississippi is headed in the right direction. She spoke to our Desare Frazier after reporting to the House Education Committee. Brandon Republican John Moore chairs the House Education Committee. He tells MPB's Desare Frazier he's pleased with the news from Dr. Wright. Ninety years ago - in 1927 - a great flood buried some 27-thousand square miles in water up to 30 feet high. Most of those affected by the flooding were in Arkansas, Louisiana, and here in Mississippi. 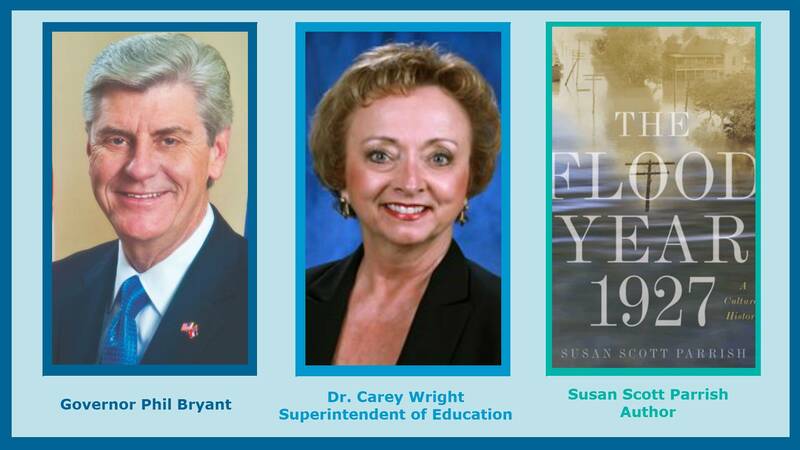 In this week's Book Club, we talk to author Susan Scott Parrish, who writes about the flood in her book, The Flood Year 1927: a Cultural History, which will be released on January 25th.